North Korea has unveiled tour programs allowing foreigners to visit the reclusive state and celebrate the New Year's holiday, according to the country's state-run tourism agency Sunday. The program will run in Pyongyang and other major tourist attractions from Dec. 29 to Jan. 5, DPR Korea Tour said on its website run by the North's National Tourism Administration. Travelers will be able to enjoy events ranging from a celebration of the new year at Kim Il-sung Square in central Pyongyang to an ice sculpture festival, and other various arts performances in the North's capital. 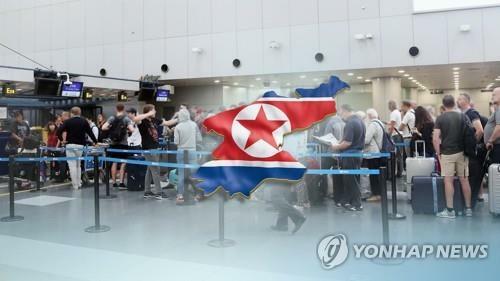 The programs also include trips to Kaesong, the North's town bordering South Korea, and Mount Myohyang in North Pyongan Province, the website showed. It is quite rare for North Korea's state-run tourism agency to put out an ad for New Year's programs targeting foreign tourists.